No seriously, over 8,000 unique nail art looks are at your finger tips, right at this very moment, on one single site completely dedicated to nail art. And no, not Pinterest …. Though this site is arguably better then Pinterest. Yeah, I said it. 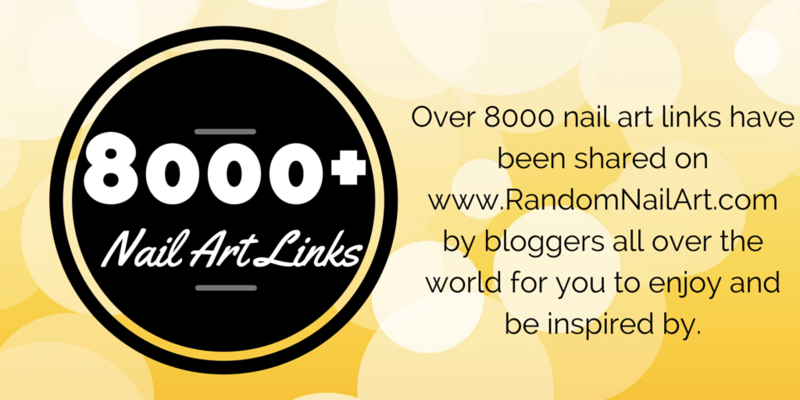 Random Nail Art currently has over 8,000 unique posts from bloggers all over the world featuring their own unique nail art. Every single one of those links is unique, and has nail art in the post. So every time you click the infamous button (you can’t miss it, it’s giant!) you will be taken directly to a new nail art look. How awesome is that? Something you may not know is that Random Nail Art does NOT take away traffic from the original bloggers site. Nope, not at all. As a nail art blogger myself I wanted to make sure that my work is not losing traffic because another site is promoting it or hosting it on their site. Random Nail Art is set up so that the bloggers who share their nail art with everyone still get all of the traffic to their site. I look forward to sharing the next milestone of RandomNailArt.com with you soon! Stay tuned! In the mean time – I’d love to hear about some of your favorite looks or new bloggers you’ve discovered via Random Nail Art. Tell me all about it in the comments down below! I love discovering nail arts in this community! Congrats! !…and thank you so much for letting me be a part of it!